The ICC Cricket World Cup 2019 is scheduled to kick off on 30th May at The Oval and 10 nations are set to participate in the cricket’s mega event to become champion of it. Live broadcast of all 48 matches of 2019 world cup will be shown on television sets and digital platforms. Star Sports is the official broadcaster of International Cricket Council events. Hence it is the official broadcasting partner of CWC19. 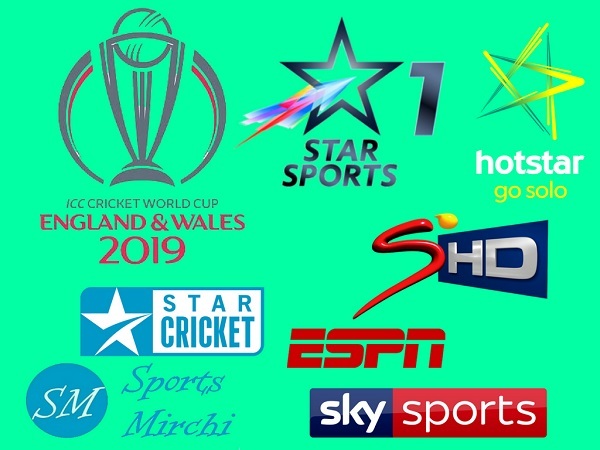 Let’s have a look at the complete list of television networks and live streaming sites which will telecast live coverage of cricket world cup 2019. 1 June (Saturday): Afghanistan vs Australia – Bristol – 12:30 PM. 2 June (Sunday): South Africa vs Bangladesh – The Oval – 9:30 AM. 3 June (Monday): England vs Pakistan – Trent Bridge – 9:30 AM. 4 June (Tuesday): Afghanistan vs Sri Lanka – Cardiff – 9:30 AM. 5 June (Wednesday): South Africa vs India – Southampton – 9:30 AM. 5 June (Wednesday): Bangladesh vs New Zealand (D/N) – Nottingham – 12:30 PM. 6 June (Thursday): Australia vs West Indies – Trent Bridge – 9:30 AM. 7 June (Friday): Pakistan vs Sri Lanka – Bristol – 9:30 AM. 8 June (Saturday): England vs Bangladesh – Cardiff – 9:30 AM. 8 June (Saturday): Afghanistan vs New Zealand – Taunton – 12:30 PM. 9 June (Sunday): India vs Australia – The Oval – 9:30 AM. 10 June (Monday): South Africa vs West Indies – Southampton – 9:30 AM. 11 June (Tuesday): Bangladesh vs Sri Lanka – Bristol – 9:30 AM. 12 June (Wednesday): Australia vs Pakistan – Taunton – 9:30 AM. 13 June (Thursday): India vs New Zealand – Nottingham – 9:30 AM. 14 June (Friday): England vs West Indies – Southampton – 9:30 AM. 15 June (Saturday): Sri Lanka vs Australia – The Oval – 9:30 AM. 15 June (Saturday): South Africa vs Afghanistan – Cardiff – 12:30 PM. 16 June (Sunday): India vs Paksitan – Manchester – 9:30 AM. 17 June (Monday): West Indies vs Bangladesh – Taunton – 9:30 AM. 18 June (Tuesday): England vs Afghanistan – Manchester – 9:30 AM. 19 June (Wednesday): New Zealand vs South Africa – Birmingham – 9:30 AM. 20 June (Thursday): Australia vs Bangladesh – Nottingham – 9:30 AM. 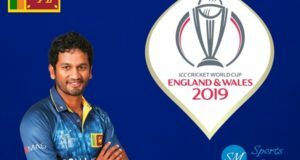 21 June (Friday): England vs Sri Lanka – Headingley – 9:30 AM. 22 June (Saturday): India vs Afghanistan – Southampton – 9:30 AM. 22 June (Saturday): West Indies vs New Zealand – Manchester – 12:30 PM. 23 June (Sunday): Pakistan vs South Africa – Lords – 9:30 AM. 24 June (Monday): Bangladesh vs Afghanistan – Southampton – 9:30 AM. 25 June (Tuesday): England vs Australia – Lords – 9:30 AM. 26 June (Wednesday): New Zealand vs Pakistan – Birmingham – 9:30 AM. 27 June (Thursday): West Indies vs India – Manchester – 9:30 AM. 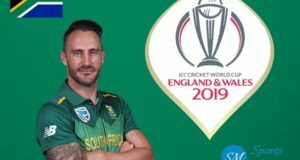 28 June (Friday): Sri Lanka vs South Africa – Durham – 9:30 AM. 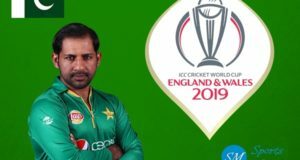 29 June (Saturday): Pakistan vs Afghanistan – Leeds – 9:30 AM. 29 June (Saturday): New Zealand vs Australia – Lords – 12:30 PM. 30 June (Sunday): England vs India – Birmingham – 9:30 AM. 2 July (Tuesday): Bangladesh vs India – Birmingham – 9:30 AM. 3 July (Wednesday): England vs New Zealand – Durham – 9:30 AM. 4 July (Thursday): Afghanistan vs West Indies – Leeds – 9:30 AM. 5 July (Friday): Pakistan vs Bangladesh – Lords – 9:30 AM. 6 July (Saturday): Sri Lanka vs India – Leeds – 9:30 AM. 6 July (Saturday): Australia vs South Africa – Manchester – 12:30 PM. 9 July (Tuesday): First semifinal – Manchester – 9:30 AM. 11 July (Thursday): Second semifinal – Birmingham – 9:30 AM. If your country is not listed here, do mention it in comments. We’ll update the post with accurate info.